If you’ve lost your data, the first few steps you take can make a big difference in whether your data can be salvaged or not. Failing to be cautious at this critical time can render your data unrecoverable even by the most experienced technicians. If your drive is clicking or grinding, even if it is still being seen by the system BIOS, you should shut the power down immediately. This is a good indicator that your drive has failed or is on the verge of imminent failure. Clicking hard drives, often referred to as the “Click of Death” are a sign that you have a serious problem, most likely a head crash, and you are going to need a data recovery professional to help get your data back. Just to reiterate, DO NOT repower a drive that is clicking, or you feel may have suffered a physical failure. Doing so will only reduce the chances of a successful recovery. I know it was stated in the step above, but it is worth repeating. Never remove the cover, logic board, or any case cover screws from your hard drive. Do not shake the drive. 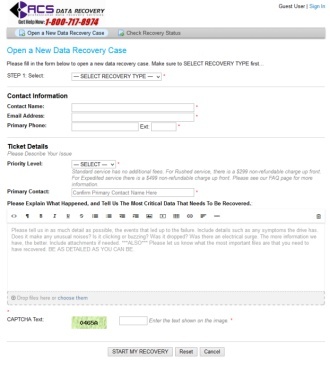 Avoid trying to recover the data yourself with common off the shelf data recovery utilities. Many of these programs can actually cause further data loss, because they write to the failed hard drive. Doing so may actually overwrite recoverable data, resulting in permanent loss of that data. Do not attempt to run CHKDSK or scan disk on a drive that seems to be failing. Be cautious when choosing a data recovery company. There are many choices out there, but there are few companies who can even properly diagnose a failed drive, much less recover the data from it. Don’t be fooled by misleading success rates or low prices. Our report “Choosing The Best Data Recovery Provider” is a look at what you should watch out for when shopping for a data recovery professional. Do they have the necessary experience? Do they have their own Class-100 or better clean room? Do they charge additional fees for parts? Package the drive appropriately when shipping it. Think of it as an egg, and you need to protect it during shipping. A few good layers of bubble wrap, a well-fitting box, and a reputable shipper like UPS or FedEx will get your drive delivered safely to our lab. For more information about submitting your drive to us for recovery, click HERE. If you need your data as soon as possible, be sure to ship it priority overnight. 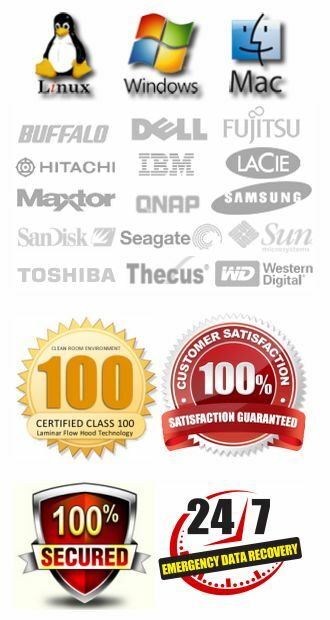 You can also select to have the data recovery service expedited for the fastest possible turn around. In some cases, expedited recoveries are completed the very same day they are received. If you are comfortable working with your computer, and familiar with the components, you can attempt to remove your hard drive yourself.